I am pleased to be a contributor to this study do we can start clearing the air about the status of beekeeping in the US. The current state of the beekeeping industry is embarrassing. The only answers the industry seems to be intetested in is more chemicals and artificial diets. Maryland has losses over 3 year average is 55%. This means that Maryland beekeepers import into the state over 7500 colonies every year which has the high potential to be spreading even more virulent mites and viruses. I hope this kind of research can help educate people into understanding that more bees and beekeepers aren't a great idea. 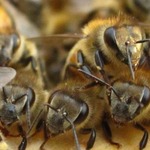 Maryland honeybee losses over 3 year average is 55%. This means that Maryland beekeepers import into the state over 7500 colonies every year which has the high potential to be spreading even more virulent mites and viruses. Maryland beekeepers also spend over $1.2Million every year for replacement bees. I hope this kind of research can help educate people into understanding that more bees and beekeepers aren't a great idea when we take into context that transporting bees is spreading pests and diseases quite widely with devastating consequences.